This week the focus of the Geography in the News poster is the Great Green Wall of Africa. The poster provides an overview of the Great Green Wall. The Great Green Wall is an African-led project with an epic ambition to grow an 8,000km natural wonder of the world across the entire width of Africa. Its goal is to provide food, jobs and a future for the millions of people who live in the region. 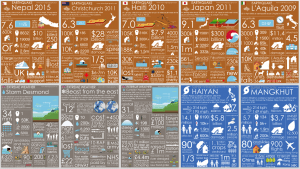 The purpose of our Geography in the News posters is to raise student awareness of how geography affects people around the world, that it is relevant and allows links to be made between theory and real life occurrences. A range of sources are used to gather the information in the poster. Credit is given to the sources used within the poster.